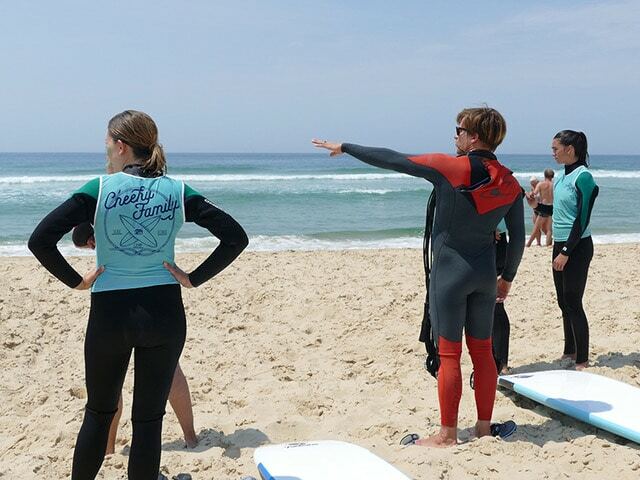 At the Cheeky Family Surf School, classes are catagorised by level of experience and age for better learning and understanding. During the lesson you will be separated into your corresponding groups for better teaching effectiveness and later on we will all meet up together. 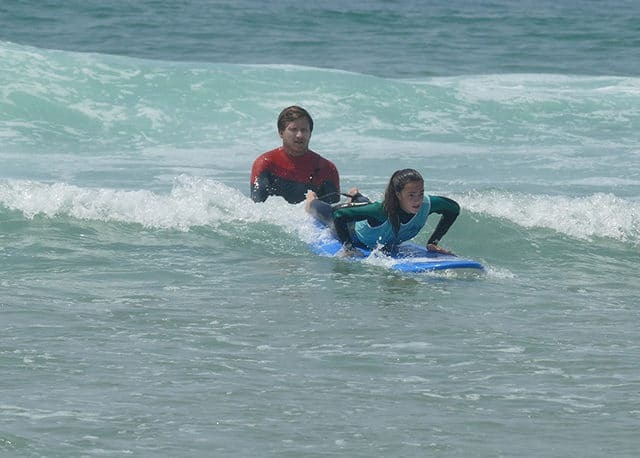 What makes Cheeky Surf Family classes stand out from the crowd? First of all, it is a small school with one dedicated instructor named Dimitri. 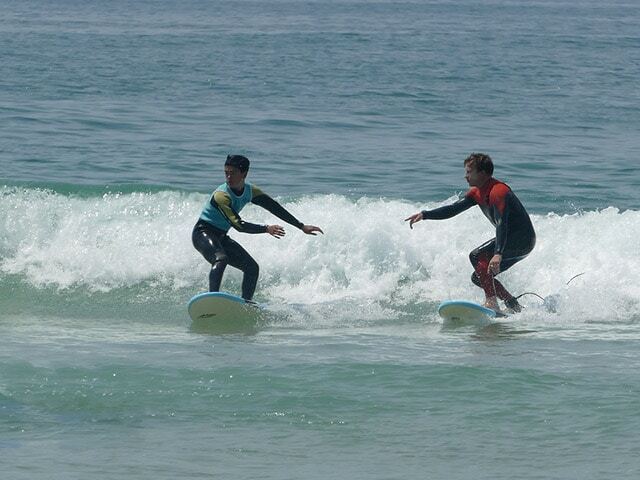 Dimitri has been a surf instructor for over 7 years and holds a professional diploma which he recieved in 2010. 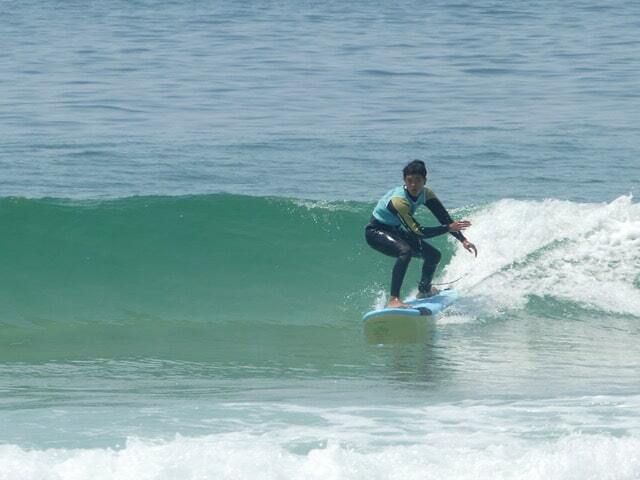 He is a true surf enthusiast and his affection toward the ocean is indeed reflected in his wish to share his knowledge and involve anyone who is interested in his passion. 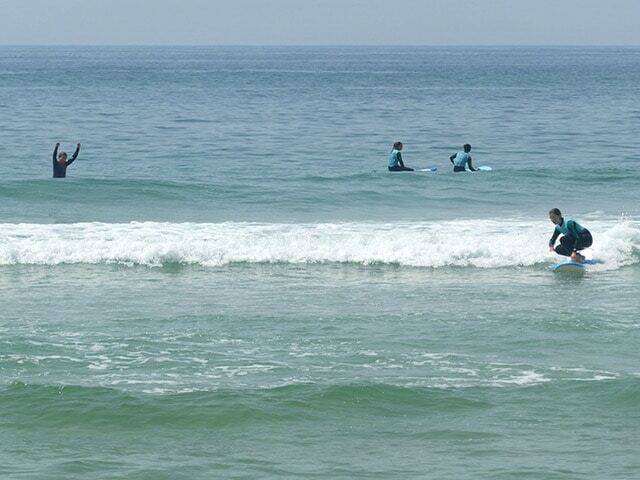 Having lived in Lacanau for more than 20 years, the waves of the Médoc no longer hold any secrets from him! Gone are the days when a surf instructor would observe his pupils struggling with the waves from the beach. 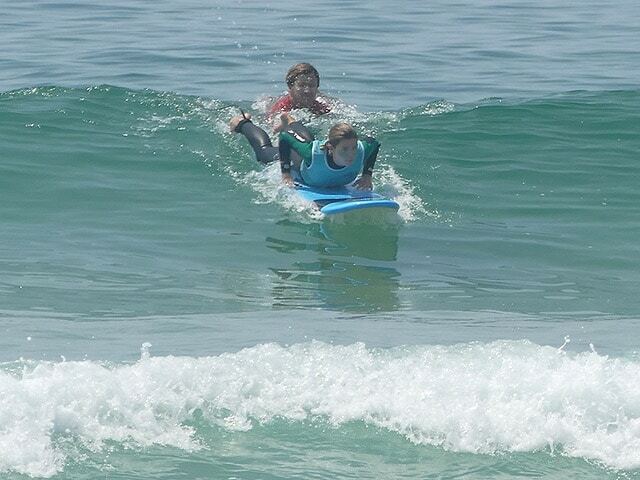 Gone are the days when a surf lesson would be at a fixed time, not taking into account the tides. 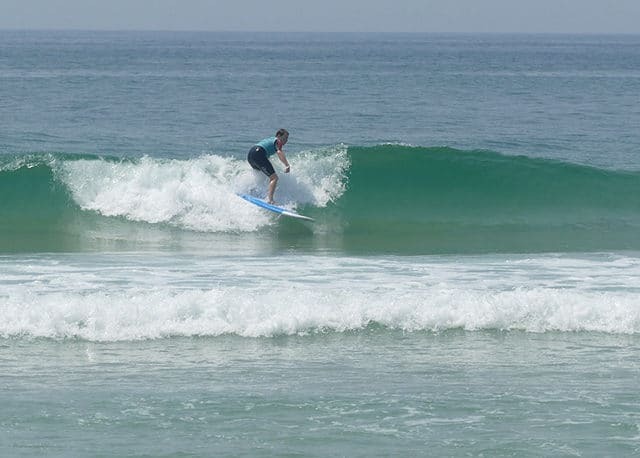 At Cheeky Family, coaching is done in the water, by a qualified instructor with liability insurance and surf classes are given according to the tide schedule and weather forecast. 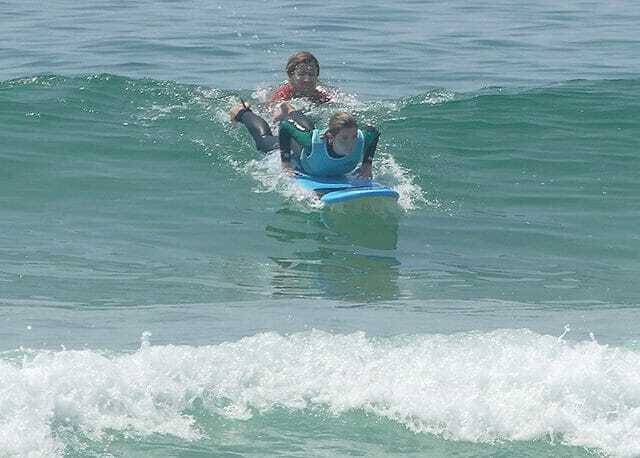 Whether it’s discovery or upgrading, you are welcome to 2 hours of lessons depending on the level of each, tide schedules and ocean conditions. 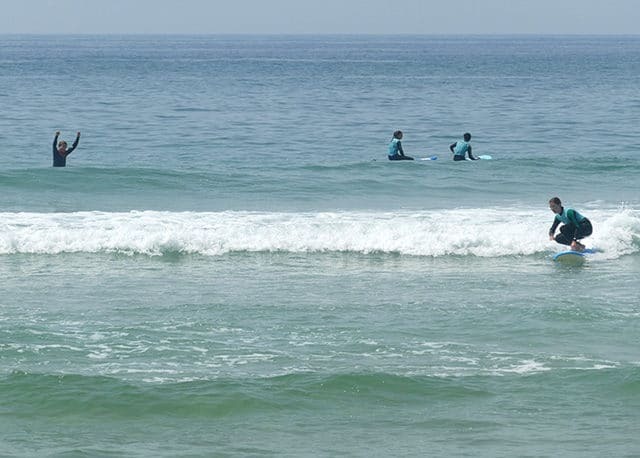 Beginner pure, already practiced or confirmed, the 5 lessons of 2 hours throughout the week are the one to make you progress in a homogeneous group according to the level of each one, the schedules of tide and the conditions of the ocean. 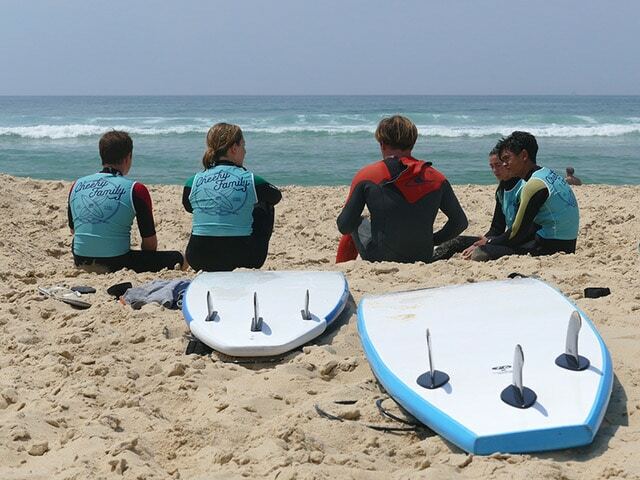 In this formula the small plus is that there is the rental of the material included during surfing course. 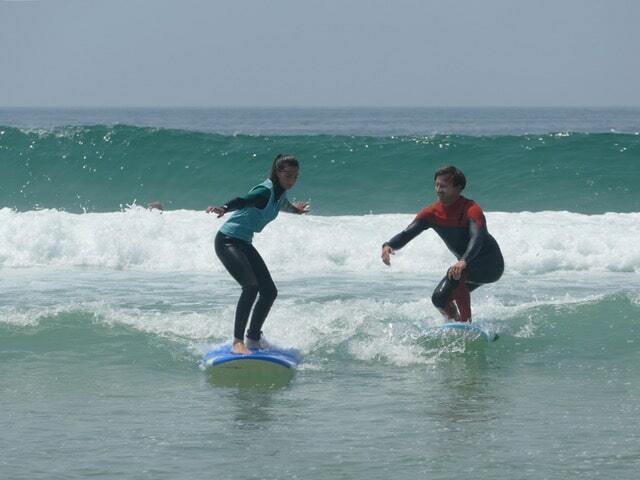 So you can surf after surfing to apply the advice of Dimitri, safely. 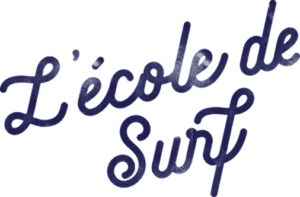 This is a season pass for cheeky surfers who want to come according to the conditions of the ocean and according to their level. You can use your sessions only in the off season.